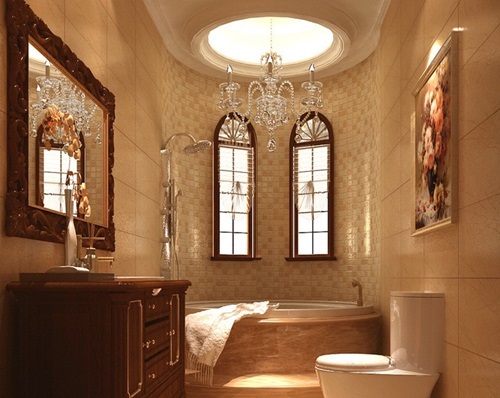 Chandeliers do not really belong in the bathroom, though. It’s against code to have hanging lights over water, for some strange reason. So we just gave up on fancy lighting and went with a focus on the fixtures and very unusual tile choices. In one of our baths the windows make up half a hexagon, rather than half an octagon like this one. Turret-like, but not going full turret. Also we have no media panel, because those are wack. Looking at illegal chandelier efforts (although the second one would not be) just reminds me that we still have to replace the Ye Olde Ren Faire “medieval” chandeliers that came with the house. Rugs and hardwoods, together at last. 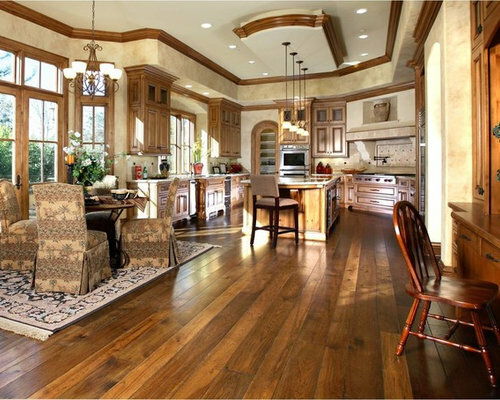 A possible kitchen idea, we already have the flooring in a similar color. We had to put in hardwood flooring and get rid of a bunch of wall to wall carpet because it was an allergy sore spot and and also super gross with little kids who like to play in the dirt. 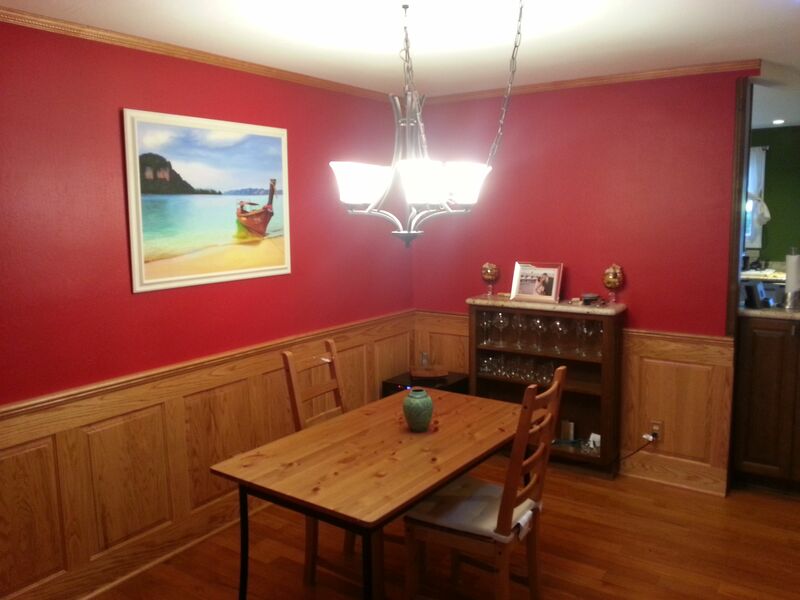 We don’t have the drop lights or the ceilings of the first picture and in fact I find it a little much, but we do prefer that kind of tasseled, patterned Persian rug and the wood chairs in the photo. I think we’re going to do it, just haven’t picked which room will be the lucky one. 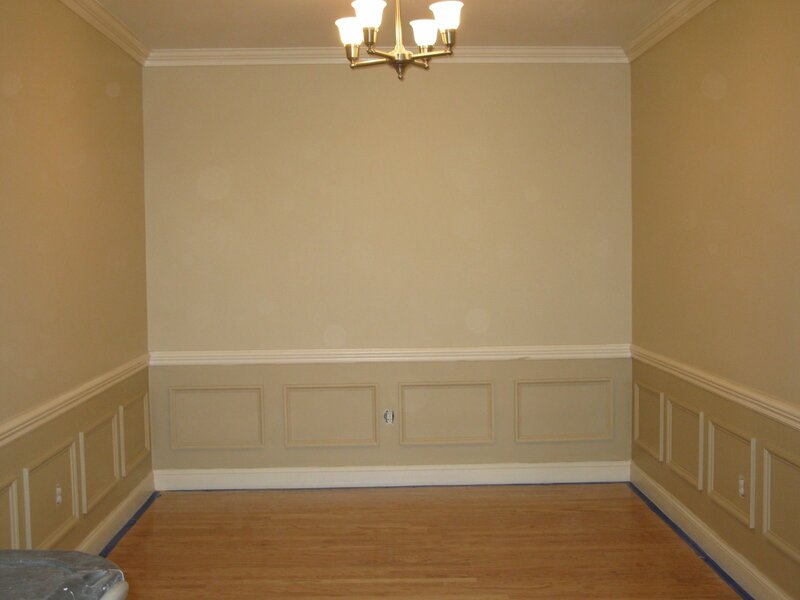 This is what most people think of as wainscoting. We’re going in an oakier direction. Totally not what we’re doing for a powder room. But the tile selection is quite nice. Apparently way more people want to wainscot their bathrooms than I ever imagined.